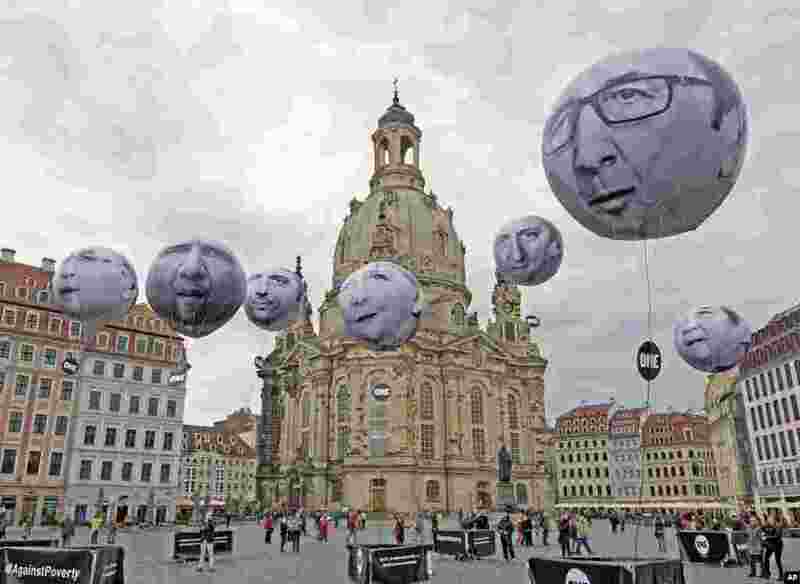 1 Activists of the international campaigning and advocacy organization ONE installed balloons with portraits of the G7 heads of state in front of the Frauenkirche cathedral (Church of Our Lady) prior to the G7 Finance Ministers meeting in Dresden, Germany. 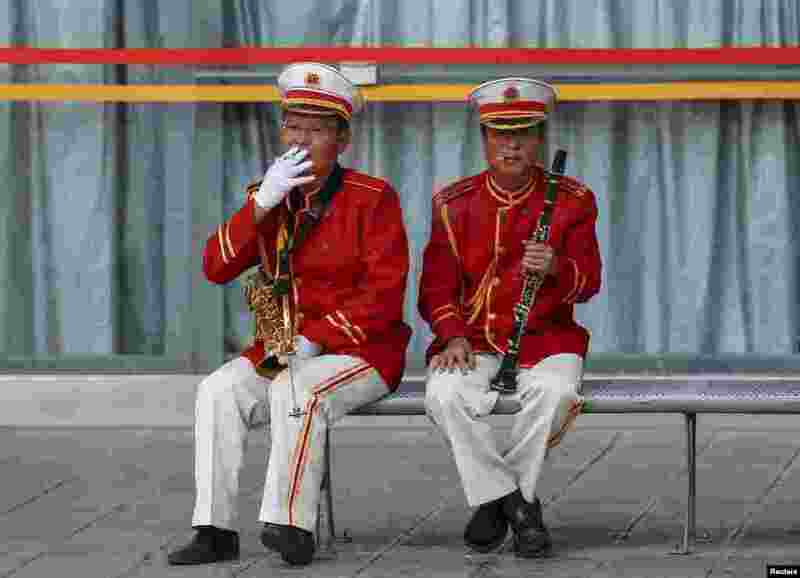 2 Members of a music band smoke cigarettes on a bench as they take a break, in Kunming, Yunnan province, China. China is set to raise the wholesale tax rate for cigarettes to 11 percent from 5 percent, the Ministry of Finance said in early May, in a move to deter smokers in the world's biggest maker and consumer of tobacco. 3 Indonesian policeman extinguish a burning effigy of a Buddhist monk during a protest in support of Rohingya Muslims from Myanmar by hardline Muslim group Front Pembela Islam (FPI) or the Islamic Defender Front together with Forum Umat Islam (FUI) outside the Myanmar embassy in Jakarta. 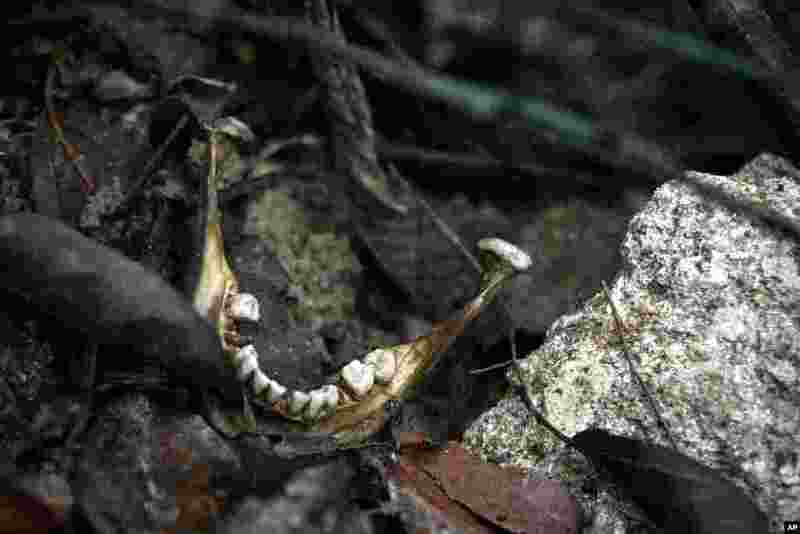 4 A human jaw is photographed near an unmarked grave in Wang Burma at the Malaysia-Thailand border outside Wang Kelian, Malaysia, May 26, 2015.